I had the pleasure of collaborating with a dear friend and amazing artist, Lauren!! Lauren is the creator of Teacup Bridal and you're missing out if you haven't checked out her business! 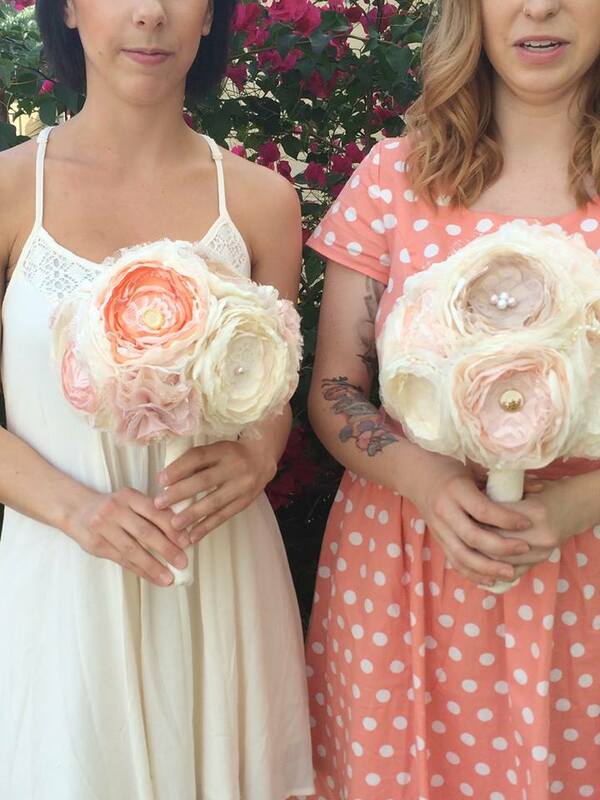 She makes unique fabric bouquets for your big day. While holding one of her creations it was easy to see how much effort and time goes into just one bouquet. Every piece is beautifully crafted and she even takes custom orders! I'm so happy to have such an talented friend in my life and if you or a friend have a wedding coming up soon I think you definitely know where to look! Here's some fun photos we took with her lovely creations!!!! !